So I have been having a little fun and getting back to the roots of paper crafting for me and scrapbooking. 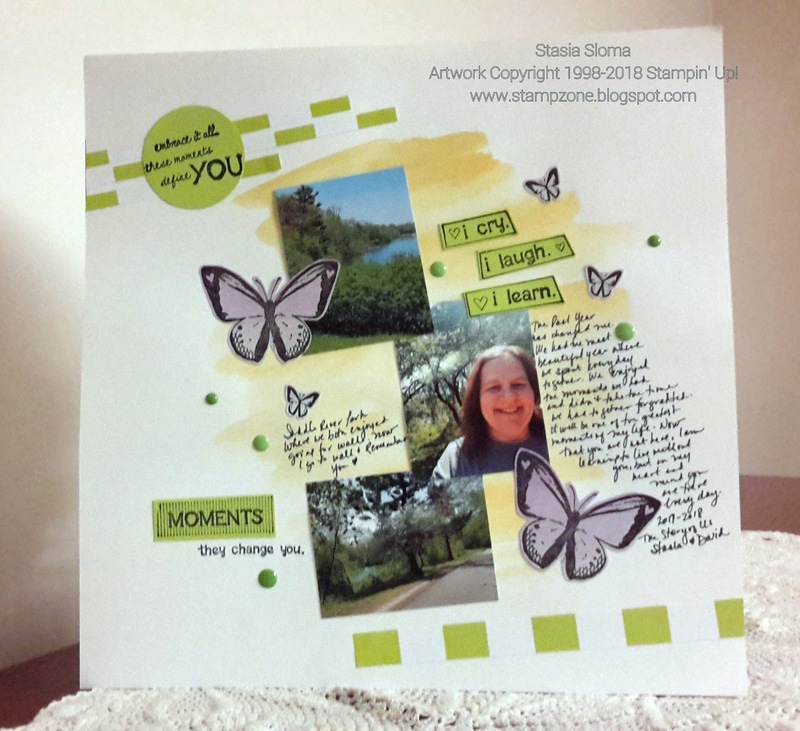 Card making is fun and you can finish a card quickly if you are inspired, but scrapbooking is forever. It takes moments and helps you remember details that you will soon forget after the picture was taken. I wanted to remember this time in my life. So many things have have happened and so much has changed. I am still trying to figure out things, but scrapbooking has helped. It is a cheaper than therapy, but than again if you saw my craft stash you would wonder if that was true! To finish off my Growing in Unity week, I also created a scrapbook page that I wanted to share. You don't need to post on this project to get free stamps. I should be picking a winner tomorrow. Here is the Unity Moment by Moment stamp set. So many great sentiments and I love the butterflies in the set. I created the background with my ink refills and my aqua painter. The designer paper comes from The Paper Studio.